Street Parking is available on Clinton street. Parking Garages are located on Essex st.
Be the first of your friends to have a ramen party. 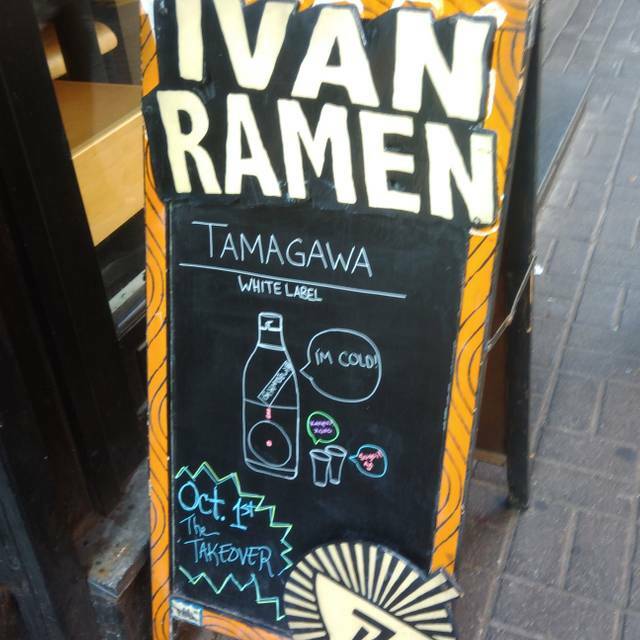 Ivan Ramen "More then Just Ramen!" 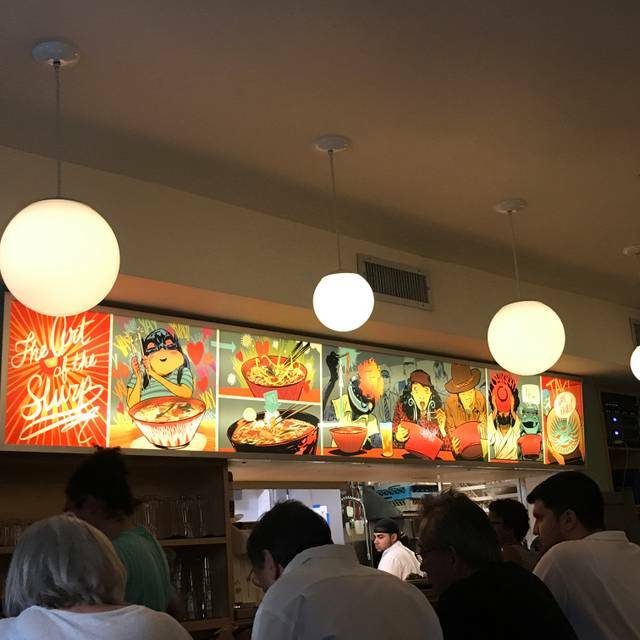 Ivan Ramen imagines the Classic NY diner as seen through the Japanese lens. The food is incredible, the service outstanding, the menu is uniquely Ivan Orkin. Ivan Ramen celebrates Ivan’s creativity through the lens of his life journey. His effortless blending of: his New York roots, his classic French training, and his deep understanding of Japan, color the menu and the restaurant. Ramen here is clearly a must, but you should not miss out on the amazing array of other dishes, which are perfect for sharing while you enjoy a well selected sake. 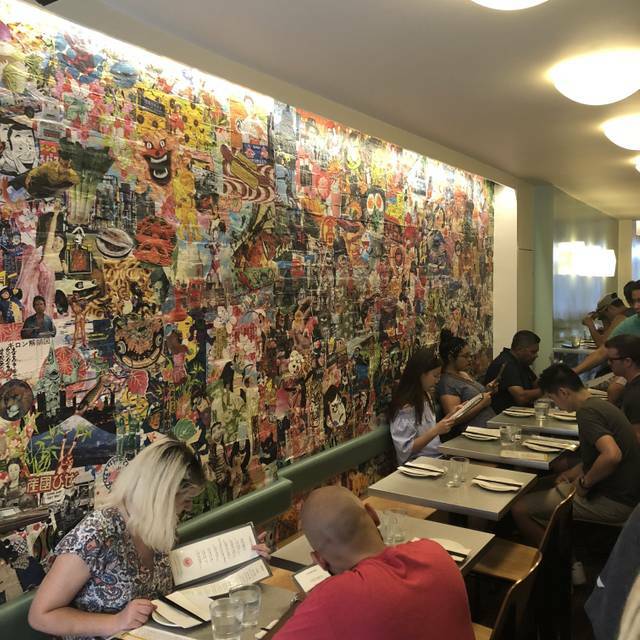 Casual, comfortable and quirky with splashes of art inspired by pop culture and movies, Ivan Ramen is simply a fun restaurant. Excellent, best Brussel sprouts I've ever had! Veggie ramen was also delicious. And great service. I arrived about 15 minutes early for my reservation. I was by myself and they sat me at the bar. The server/bartender at the bar was super friendly and quick to serve me and offer some suggestions. The place was very busy with a nice vibe and atmosphere. All the staff were friendly which was nice and welcoming. I ordered an eggplant appetizer which was the best eggplant dish I have ever had and the chicken broth ramen. I ate everything. I usually don’t finish my broth but it was too good not too. Overall a great experience and I would totally recommend this to a friend! Awesome food and the staff were very attentive and fun! Delicious, great vibe. 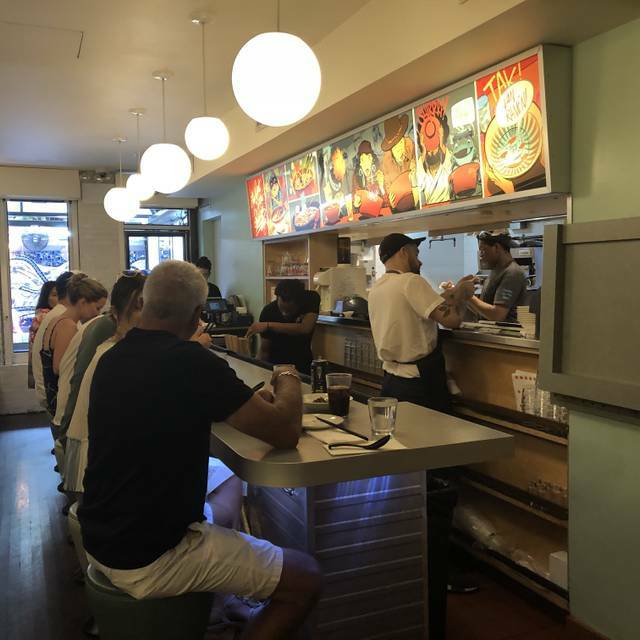 Happy to experience Ivan Orkin’s perfect ramen. It is AMAZING we loved our experience. The tongue sandwich for a starter is a MOST! And the beer of the house is really good! I was in Ny 2 days . Best Ramen ever. I cant wait to come back there. Wonderful food. Love the servers. Thanks for a terrific dining experience for 5 of us. We were not disappointed with the staff suggestions. Awesome selection of beer and liquor. Can't wait to go back and try more food! So good. We were late to our 6pm reservation by about 20 minutes but when we finally got there, they seated us right away anyway even though it was very busy. The service was great and the food was incredible. Will definitely be back. Excellent service with very enthusiastic waiter. The ramen were delicious as expected. Would recommend! Our server (sorry don't remember his name) gave such helpful succinct menu descriptions. The intensity of flavours stayed in my body for hours. Wonderful. Great experience! Exactly what we thought it would be! 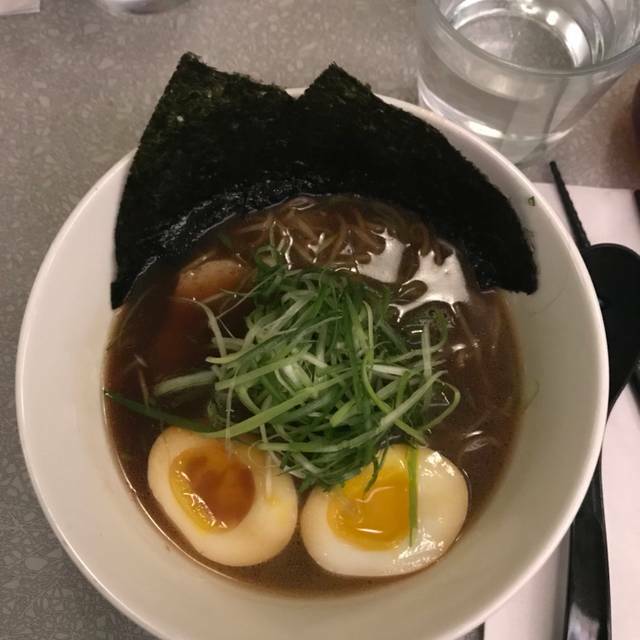 11 Year old son loves Ramen and this was why we went! Special treat to meet Ivan in person and get a signed book! We'll be back! Excellent ramen, the tastes were excellent and well balanced. One of the best ramen I’ve had! The food is so good, from appetizers to entrees. The Japanese Fried Chicken is amazing. 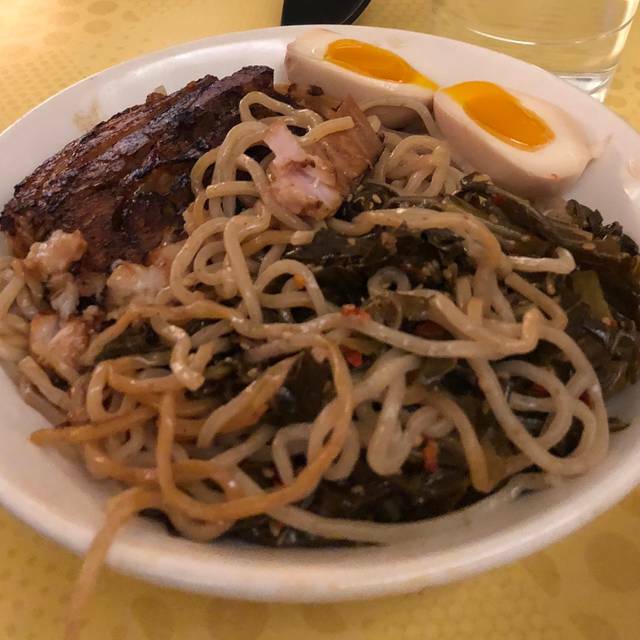 If you like ramen you can't find a better place in LES. Excellent food, place is small but with a good atmosphere. I came to NYC to try a bunch of different ramen places. 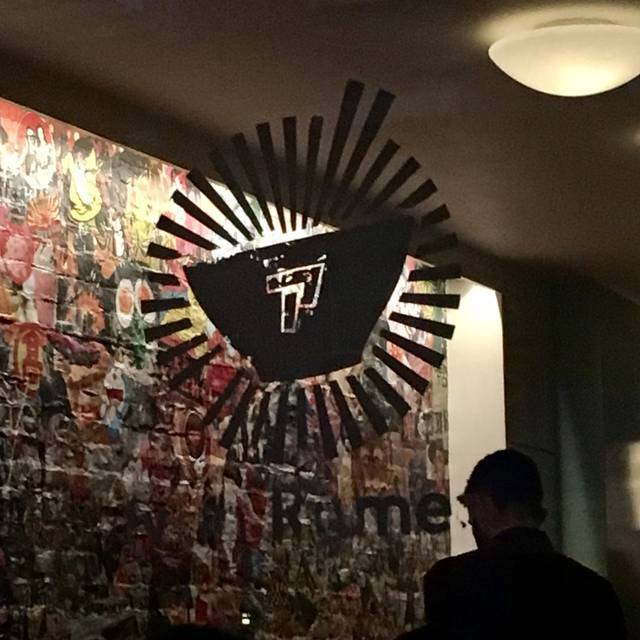 I went to Ivan Ramen knowing that it was supposed to put an interesting twist on traditional ramen. I ordered one bowl. Then, I ordered another. Finally, I ordered a third. Suffice to say, it was pretty good. 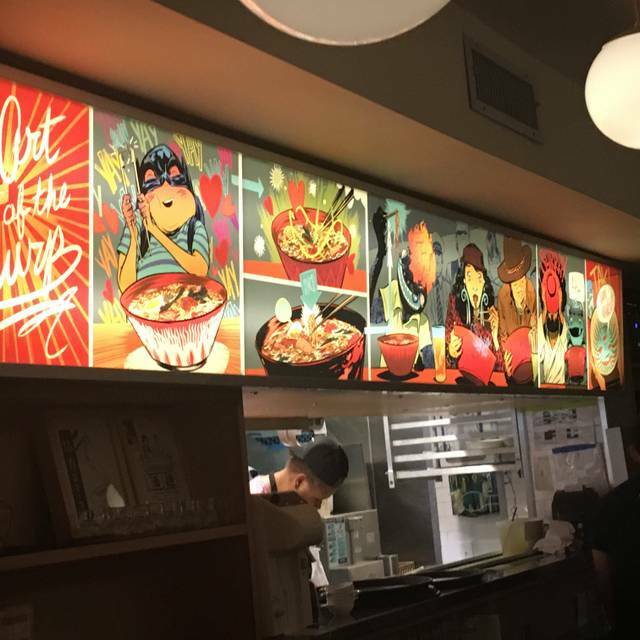 My favorite spot for ramen in NYC. Lived the roast tomato in the soup! The food is delicious and the service is perfect. Friendly and helpful. I love sitting out back, its a little quieter and pretty. Also there were vegan options. This was our 2nd time to Ivan Ramen and we had another great meal. Had 8:15 reservation and were able to walk right past the waiting crowd and be seated right away. The only negative is the backless stools. I’m too old for that! Everything was great. We got there a little before our reservation but the staff found us a table. The lamb Dan Dan Noodles was outstanding! My wife had the Tonkatsu Tsukemen which she loved. The pork buns were great but needed a little contrast in texture. 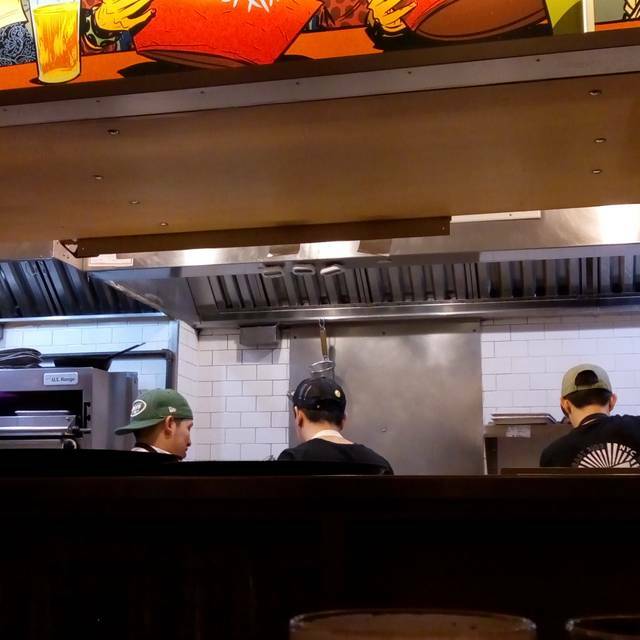 I would recommend Ivan Ramen highly and I can’t wait to go back. So worth the 7 hour flight to New York from Vancouver. Amazing Ramen. Ramen was delicious! Definitely lives up to expectations. We had the pork buns, fried chicken and the Tokyo Shio Ramen. Pork buns were perfect; fried chicken was a little over seasoned but still good flavor. The ramen, however was outstanding, especially the soft boiled egg. The broth was the perfect consistency and the noodles were fantastic. Tables are a little bit close together which makes conversation a bit difficult, but the ambience and background music were just right. I will definitely be going back. Over rated place. Vancouver has FAR BETTER ramen joints that cost half the price. Disappointed with the experience. Excellent food! They accommodated my allergies and gave me an amazing dish! Great ramen and best pork rolls ever anywhere. Triple garlic triple pork was awesome. As good as its rep.
Great food, wonderful flavors. Will definitely go there again ! Having watched the Ivan Ramen episode of Chef's Table on Netflix, I really wanted to love this and while the food was very good staff was not particularly attentive that evening... unfortunately, all in all not a particularly memorable dining experience. The appetizers were next level and I’ll come back for the eggplant soon. I think my husband’s ramen was very good. I have to give the vegetarian version an F due to the salt level which impacted me for the next eight hours. They should either do a veg version that works or leave it off the menu. The people serving were lovely. The noise level was quite high when we got there but they were kind about turning down the music. We’ll be back.